The Congress-led UPA government has asked the Insurance Regulatory and Development Authority (IRDA), the insurance regulator in India, to make ways for insurance companies to infuse more of their funds in banks and financial institutions. As per the media, the government has asked the regulator to raise insurance companies' exposure limit to the banking sector to 30% from 25%. The government allocated Rs 11,200 cr towards capital infusion in banks in FY 2014-15 against Rs 14,000 cr last fiscal. The Finance Minister Mr. P. Chidambaram, last week, had said that the time has come to look for new or innovative ways to raise more capital for banks. 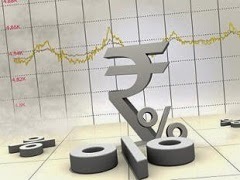 As per the bank regulator, the Reserve Bank of India (RBI), public sector banks will need about Rs 4.15 lac crore to meet the Basel-III norms, of which equity capital will be of the order of Rs 1.5 lac crore while non-equity capital will be about Rs 2.75 lakh crore. Basel-III capital adequacy ratios will be fully phased in by March 31, 2018. The government has committed to keep 51% stake in public sector banks and maintain their capital adequacy ratio (CAR) at 8%.